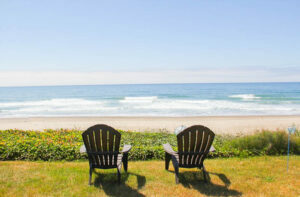 Premier Management has two vacation rentals on the stunning Oregon beachfront. 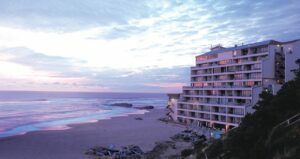 Both of these properties offer exceptional views of the Pacific, with magnificent sand mere steps away from your home. To learn more, please click either of the property links below. Apartment home #420 features a stunning south west Pacific ocean view with the largest outside deck in the complex. Completely remodeled in 2016, the apartment is furnished with two fireplaces, two large flat screen televisions, full kitchen, sleeps 6 with a king, queen and full size beds. The Inn At Spanish Head invites you to experience exceptional oceanfront lodging and penthouse dining at Oregon’s only resort hotel built right on the beach. Each of the Inn’s 120 oceanfront rooms has floor-to-ceiling windows offering unobstructed ocean views. Miles of sandy beach and tide pools are just an elevator ride away. Enjoy the Inn’s year-round amenities, oceanfront restaurant and bar, outdoor heated pool, recreation room, saunas and an enclosed ocean view spa.